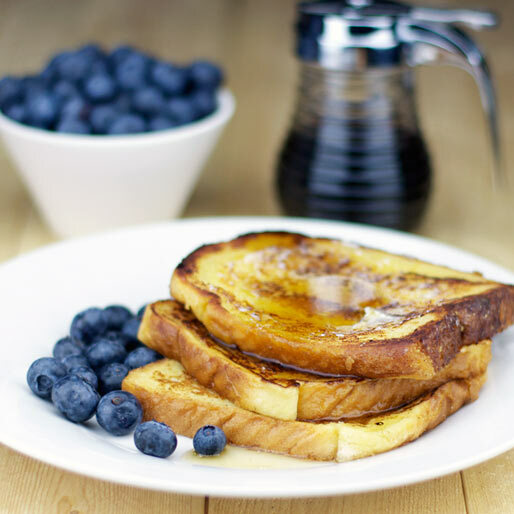 Although the French-inspired recipes included here are as French as the Cordon Bleu Culinary School, you don’t need to have the skills of a qualified French chef to make them. Some are classic, some are modernised, but all of them will give a French flair to your meals when you make them! As usual, I include my own favourites as well as a few recipes by Carolié de Koster from her ever-popular Art Of Cooking recipe book. French cookery does not imply complicated techniques and expensive ingredients. Simple wholesome fare have been served by French cooks for generations! Combine the salt, pepper and flour and coat the chicken portions with the seasoned flour. Heat the butter or margarine and oil in a large heavy saucepan and brown the chicken portions evenly over moderate heat, turning continuously. Remove the chicken portions and set aside. Add the whole mushrooms, stir and cook 5 minutes, remove and set aside. Add the flour, garlic or garlic and herb seasoning and mixed herbs to the saucepan and stir over moderate heat for 3 to 4 minutes to brown the flour. Add the wine, water, stock powder and tomato paste and cook over moderate heat, stirring until a smooth sauce forms. Return the chicken portions, add the parsley, cover and simmer about 1 hour or until tender. Add the mushrooms, cover and simmer 15 minutes more. Season to taste, spoon into a suitable dish for serving, sprinkle with parsley and serve piping hot with French bread and salad or with cooked rice and vegetables as preferred. Sauté about 8 peeled pickling onions with the mushrooms and add to the dish together with the mushrooms. Increase the herbs added or substitute about 15 ml chopped fresh herbs for the dried herbs. Replace the chicken with 4 turkey drumsticks for the festive period. Make this dish in advance and freeze to have ready at short notice. 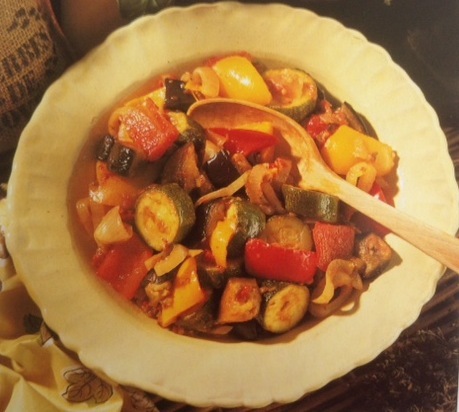 Carolié de Koster from the Art Of Cooking recipe book p. 314. Sole meunière is a classic French dish consisting of sole, usually filleted, that is dredged in milk and flour, fried in butter and served with the resulting brown butter sauce and lemon. 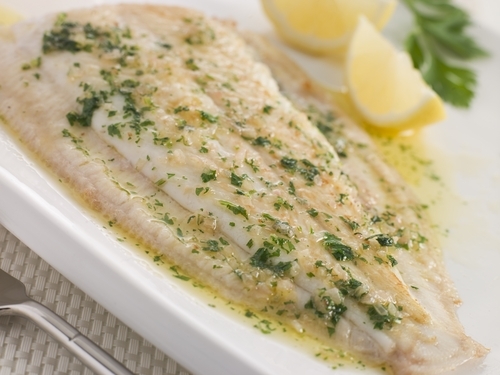 Sole has a light but moist texture when cooked and has a mild flavour. 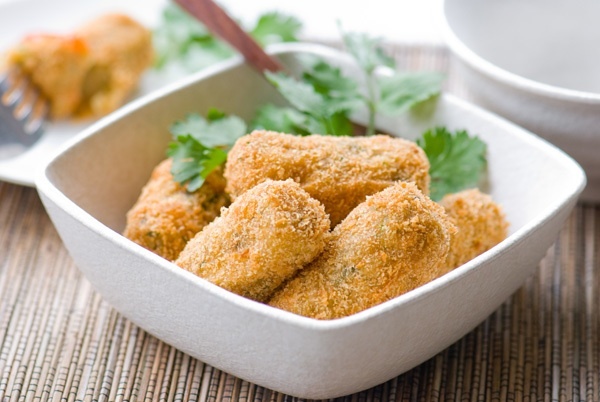 The French word “meunière” means “miller’s wife” and refers to the way the fish is dredged in flour before cooking, i.e. in the manner of a miller’s wife. 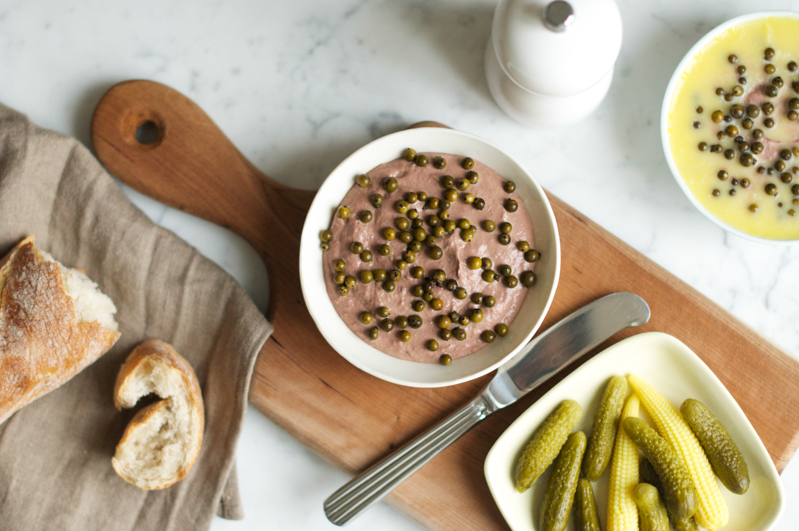 This was Julia Child’s first lunch when she arrived in France, and it changed her world. As she recounted in her memoir My Life in France, it was “perfectly browned in a sputtering butter sauce with a sprinkling of chopped parsley… I closed my eyes and inhaled the rising perfume. Then I lifted a forkful of fish to my mouth… The flesh of the sole was delicate, with a light but distinct taste of the ocean that blended marvelously with the browned butter… It was a morsel of perfection… It was the most exciting meal of my life.” The meal proved to be life-changing, sparking her culinary curiosity and a desire to learn French cooking. Read my post American Food Icon: Julie Child for more info on Julia Child. Rinse the fish fillets and pat dry. Put the milk into a shallow dish about the same size as a fish fillet. Put the flour in another shallow dish and season with salt and pepper. Heat the oil in a large frying pan over a medium-high heat and add the butter. Dip a fish fillet into the milk, then into the flour, turning to coat well, the shake off the excess. Put the coated fillets into the pan in a single layer. Fry the fish gently for 3 to 4 minutes until lightly browned, turning once. Transfer the fish to a warmed serving platter. Wipe the frying pan clean with absorbent kitchen towel and return the pan to the heat. Add the butter and stir until the butter is melted. Add the lemon juice, remove the pan from the heat, and pour the lemon butter sauce over the hot fish fillets. This impressive French dessert, also known as Snow Eggs, consists of delicate meringue clouds that rest in a sea of crème anglaise (French for “English cream”), a light pouring custard used as a dessert cream or sauce. Be sure to also try Carolie’s Poached Meringue on Golden Gooseberry Custard. To make the crème anglaise, combine the milk and sugar in a medium saucepan. Split the ½ vanilla bean lengthwise then scrape out the seeds and put them, and the pod, into the milk. Make an ice bath by nesting a medium size metal bowl in a large bowl filled with ice and a little cold water. Set a mesh strainer over the top. Heat the milk until steaming. Whisk some of the warmed milk mixture into the egg yolks, then scrape the warmed yolks back into the saucepan. Cook over medium-low heat, stirring constantly with a heatproof spatula, scraping the bottom, sides, and corners of the pan, until the custard is thick enough to coat the spatula. Don’t let the mixture boil. Immediately strain the custard through the mesh strainer into the chilled bowl. Remove out the vanilla pod, wipe off any bits of egg on it, and return it to the warm custard. Stir the crème anglaise to help cool it down. Once cool, refrigerate. 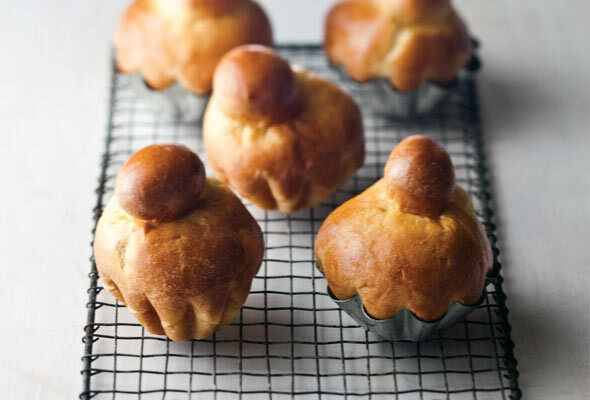 To make the meringues, line a baking sheet lined with a clean tea towel or paper towels. 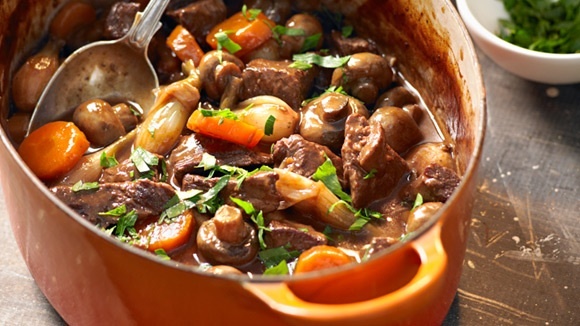 In a large, wide saucepan or casserole, fill it about halfway with water and heat it until it comes to a lively simmer. In the bowl of a stand mixer fitted with the whisk attachment at medium speed, or by hand with a whisk, whip the egg whites with the salt until they are foamy. Increase the speed of the mixer (or your whipping, with the whisk) until the egg whites begin to start holding their shape. Whip in the 1/3 cup sugar, one tablespoon at a time, until the whites hold their shape when you lift the whip. Do not overwhip or the meringues will be dry. Using two large soup spoons, scoop up a generous amount of the meringue onto one spoon – it should be heaped up so high that it threatens to fall off – then take the second spoon to scrape it off, dropping the oval of meringue into the simmering water. Don’t crowd too many into the pot; they should be allowed to float freely. Doing six at a time is usually a good number. Plan on getting sixteen meringues from the egg whites, total. But don’t worry if you don’t; two makes a good portion for some people, others want three. Poach the meringues for 3 to 4 minutes, then flip each one with a slotted spoon, and poach for another 3 to 4 minutes. Remove the meringues with a slotted spoon and put them on the lined baking sheet. Poach the remaining meringues. When all the meringues have been poached, pour the crème anglaise into a large, wide, chilled bowl. Nest the meringues close together on the top, floating them in the crème anglaise. 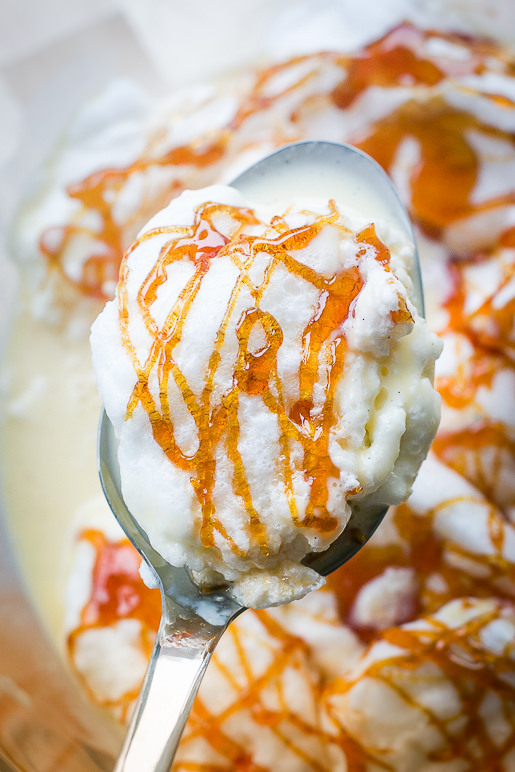 To make the caramel, heat the sugar and water in a skillet, swirling it as little as possible, if necessary, so it cooks evenly, until it turns a medium amber color. 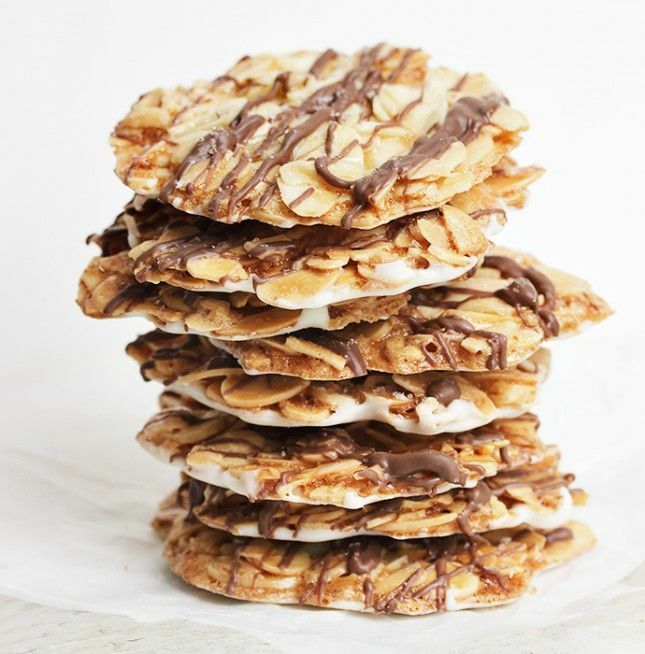 Turn off the heat and use a spoon to drizzle the caramel over the meringues. Do-ahead notes: You can make the crème anglaise up to three days in advance and refrigerate it. 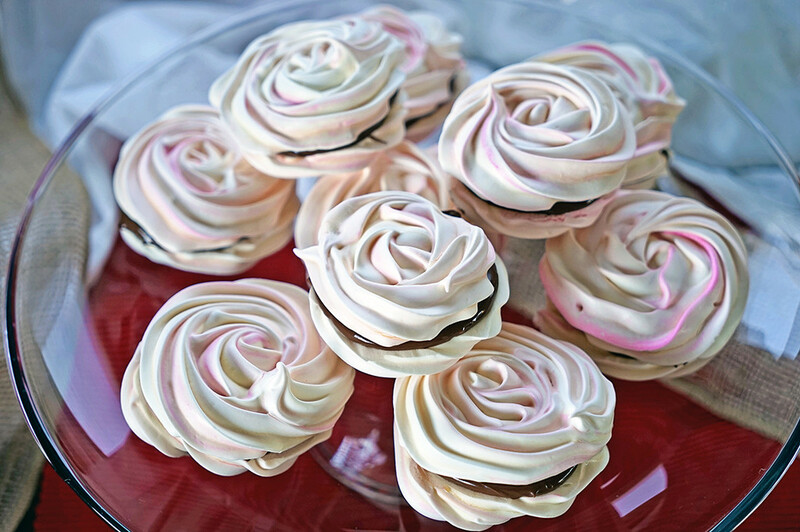 The meringues can be made the same day of serving and refrigerated as well. The caramel is best made and drizzled at the last minute although can be done 1 to 4 hours ahead. The longer you let it sit on the dessert in the refrigerator, the more it will soften and become sticky. A few hours usually is fine, though. No part of this dessert can be frozen. In France this soup is standard bistro fare and is simply referred to as gratinee which refers to the topping of toasted bread and melted cheese. Heat the oil and butter in a saucepan with a 2 L capacity over a medium-high heat. Add the sliced onions and cook for about 15 minutes until they are softened and beginning to brown. Add the garlic, sugar and thyme and simmer for about 30 minutes until the onions are caramelised, stirring occasionally. Add the flour and stir until well blended. Stir in the wine and stock and bring to the boil. Reduce the heat and simmer gently for 45 minutes. Stir in the cognac, if using, and cook for 5 minutes more. Set the soup aside until ready to serve. 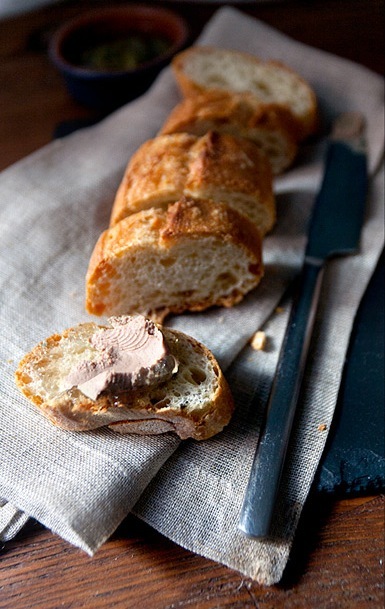 Place the baguette slices in a single layer on a baking tray. Place the tray in the oven and toast the bread until it is golden brown and crispy on both sides – be careful not to burn it! Rub each toasted slice with the halved garlic and drizzle with a little oil. Heat the grilling element of the oven. Spoon the hot soup into heated soup bowls and place the bowls on a baking tray. 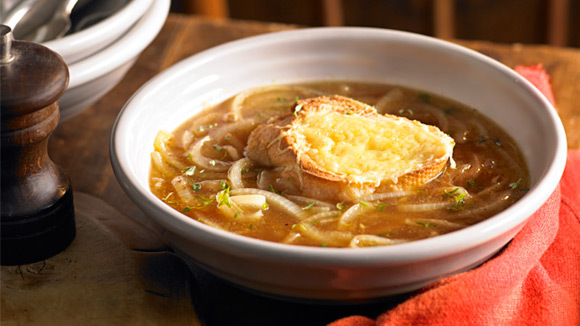 Float a piece of toasted bread on top of the soup and top the bread with some of the cheese. Do the same with the other soup bowls. Place any leftover toasted bread on a serving platter. Place the soup bowls in the oven and grill for 1 to 2 minutes or until the cheese has melted. Place each soup bowl on a side plate and serve immediately with the extra bread. Clafoutis (pronounced kla-foo-tee), is a classic French dessert and is quick, easy and simply delicious! It is France’s best kept secret. Clafoutis recipes call for nothing more than what most of us have on hand in the kitchen, plus some fresh fruit. 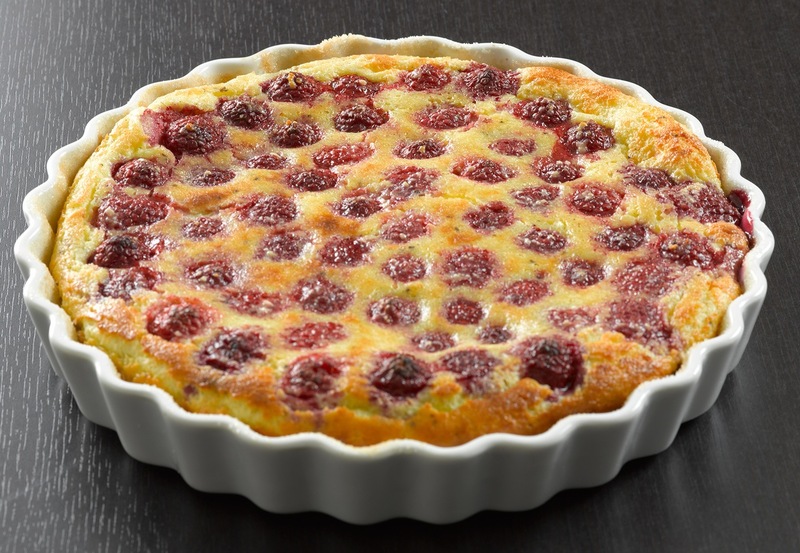 The clafoutis comes from the Limousin region of France, and while black cherries are traditionally used, there are numerous variations using other fruits, including red cherries, plums, raspberries or blackberries. When other kinds of fruit are used instead of cherries, the dish is properly called a flaugnarde. Pre-heat the oven to 190 º C.
Combine the flour and sugar in a medium mixing bowl and stir in a little of the milk to prevent lumps. Add the rest of the milk, the eggs and the vanilla essence and beat by hand until well blended. Grease a 20 cm square oven-proof dish with non-stick cooking spray. Spoon the cherries into the bottom of the dish and sprinkle with the lemon zest. Gently pour the batter into the dish. Bake for about 40 minutes or until firm and golden brown on top and a metal skewer or toothpick inserted into the middle of the Clafoutis comes out clean. Dust with icing sugar and serve hot, at room temperature or cold. If fresh raspberries, blueberries or cherries are not available, use sour cherries. I have used Goldcrest with great success. Drain the juice and reduce it to make a sauce. 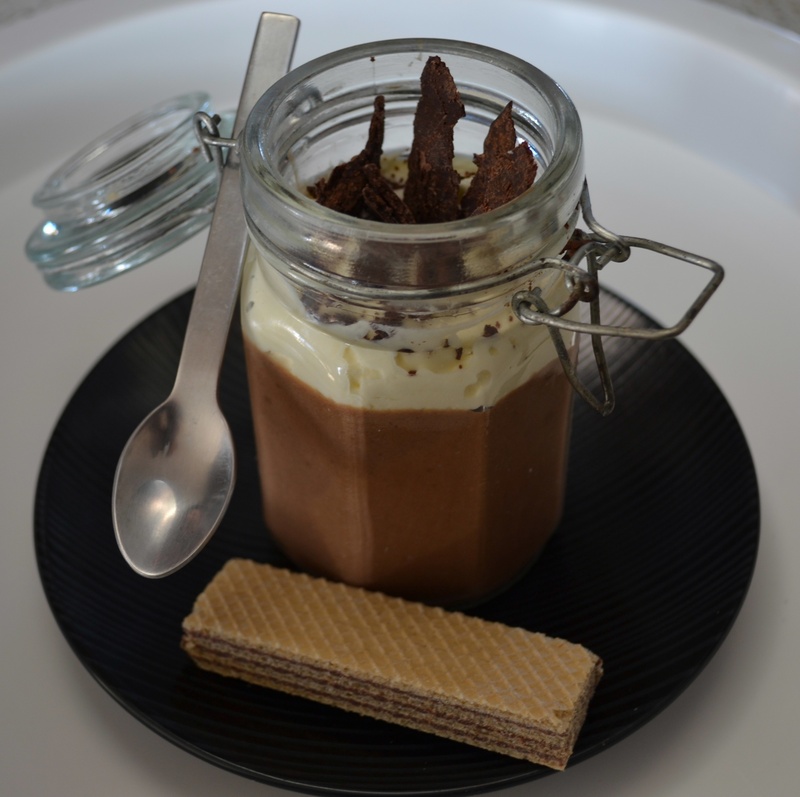 A divinely-textured creation which will leave guests speechless and eyes firmly focussed on the dessert! Also see my recipe for Floating Islands. Beat the egg whites and cream of tartar until peaks form and gradually beat in the castor sugar to form a very stiff meringue. Use two spoons to scoop out neat egg-shaped portions of meringue and place a few at a time onto the hot milk to poach. Turn over after 2 minutes and take care that the milk does not boil. Leave 2 minutes more and lift out with a perforated spoon. Place into a large colander to drain while poaching the remaining meringue. Refrigerate in a covered container for a few hours or until required. Liquidise the gooseberries with syrup until smooth and strain into a saucepan through a fine sieve, rubbing with the back of a spoon until only the seeds remain. Bring to boil. Combine the cornflour, sugar, salt and milk and stir into the boiling mixture. Bring to boil while stirring. Add a little of the hot mixture to the eggs and mix well. Stir into the saucepan and cook over low heat while stirring continuously until the sauce starts to thicken. Remove from heat and stir a while longer. Beat the cream and sugar until stiff and spoon about 1/2 of the whipped cream into a piping bag to make rosettes. Add the remaining cream to the gooseberry custard and fold together until evenly blended. 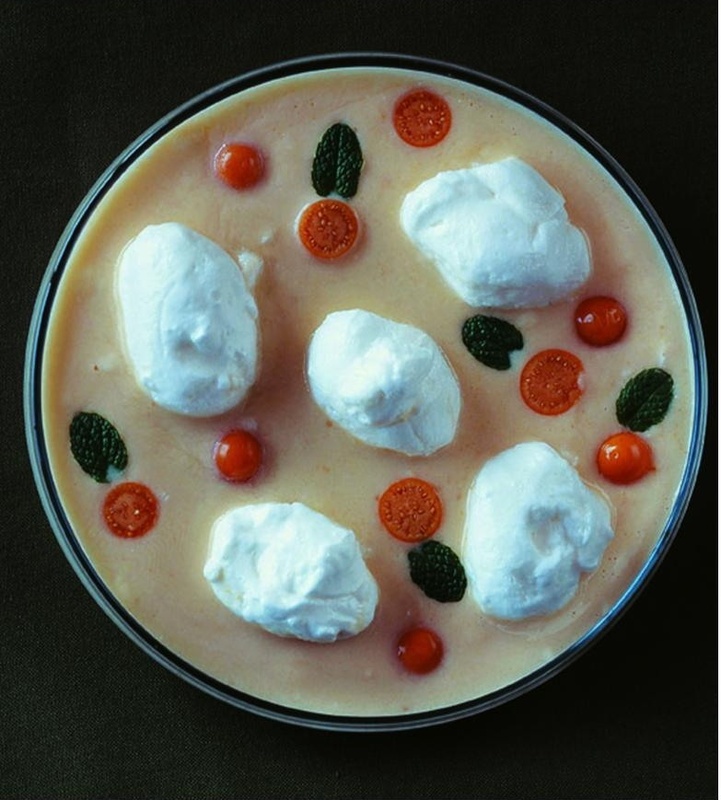 To serve, pour the gooseberry custard into a large wide glass bowl of a suitable size or onto individual serving plates. Spoon the drained poached meringues onto the custard, garnish with cream rosettes and sprinkle with a few flaked almonds and gooseberries if used. 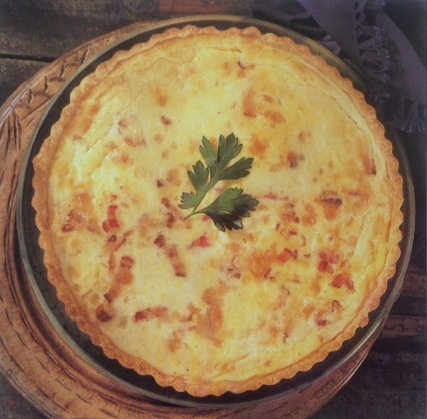 Recipe by Carolié de Koster from Art Of Cooking p. 560. Certainly one of the most extraordinary cake experiences! Many bakers have successfully mastered this cake that does require a little skill, by carrying out the steps in the recipe meticulously. It is certainly worth a try! 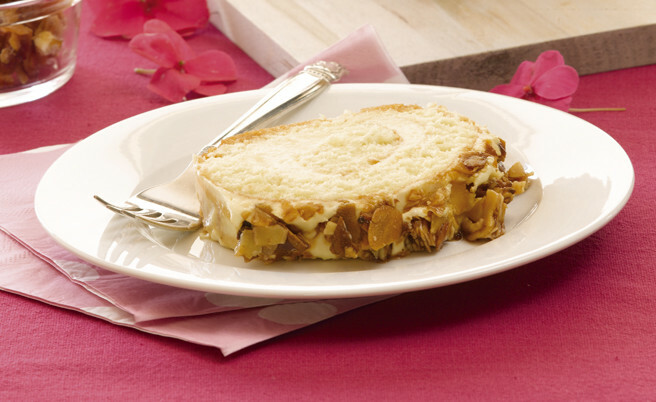 Note: Prepare the butter cream and almond praline before making the sponge cake. Assemble the roll a few hours or a day in advance to allow the cake, butter cream and praline to blend before slicing and serving. To make the butter cream, place the milk, cornflour and sugar into a bowl suitable for microwave cooking and mix well. Microwave on HIGH for 3 minutes, beat with a whisk, microwave 2 minutes more and beat well. Microwave 1 minute more or until the sauce becomes thick, smooth and shiny. Beat well and pour the mixture into the bowl of an electric mixer. ALLOW TO COOL TO ROOM TEMPERATURE. Cut the butter into small dices (2 cm) and place slightly apart on a plate. ALLOW TO STAND AT ROOM TEMPERATURE FOR AT LEAST 15 MINUTES. NOTE: It is most important that the boiled sauce be cooled and the butter left to “warm” to the same temperature (room temperature) to ensure that the emulsion needed for the butter cream is formed – if either one is too warm or too cold it may not form or it may separate. If made in hot weather take care with the butter – it should be just softened from being out of the refrigerator but not melted. Beat the cooled mixture in the electric mixer (or with an electric hand beater) and add the butter bit by bit, beating each bit into the sauce completely before the next one is added. Continue adding and beating until a smooth thick emulsion is obtained. Add the rest of the butter bit by bit, beating in between as well. Refrigerate at least 30 minutes or until required. NOTE: If the mixture separates, place an egg yolk into a clean bowl and add single teaspoons of the mixture at a time while beating, to start or restore the emulsion, then beat in the remaining mixture a tablespoon at a time. Add the almonds and cook while stirring until golden brown, taking care not to over cook or burn the praline. Turn out onto greased aluminium foil, spread evenly and allow to cool. Break into small pieces or crush lightly with a rolling pin. To make the cake, preheat the oven to 180 ºC and line a baking tray (38 x 28 cm) with baking paper. Grease lightly with butter or spray with cooking spray. Beat the egg whites until stiff and set aside. Beat the egg yolks and sugar very well for 6 – 8 minutes until quite thick and pale yellow. Beat in the water and vanilla essence. Sift the cake flour, baking powder and salt together over the egg mixture and beat gently only until combined. Add the egg white to the batter and stir until evenly blended. Pour and spread the batter evenly into the baking tray, making sure to fill the corners as well. Bake 12 to 15 minutes or until pale golden and just firm if tested with the fingertips. Turn out the cake onto a slightly dampened cloth and leave covered with the baking paper for 5 minutes to allow the steam to soften the edges of the cake. Peel off the paper carefully and roll up the cake gently with the aid of the cloth. Wrap in the cloth while cooling. Unroll the cake carefully and spread with about 1/3 of the butter cream. 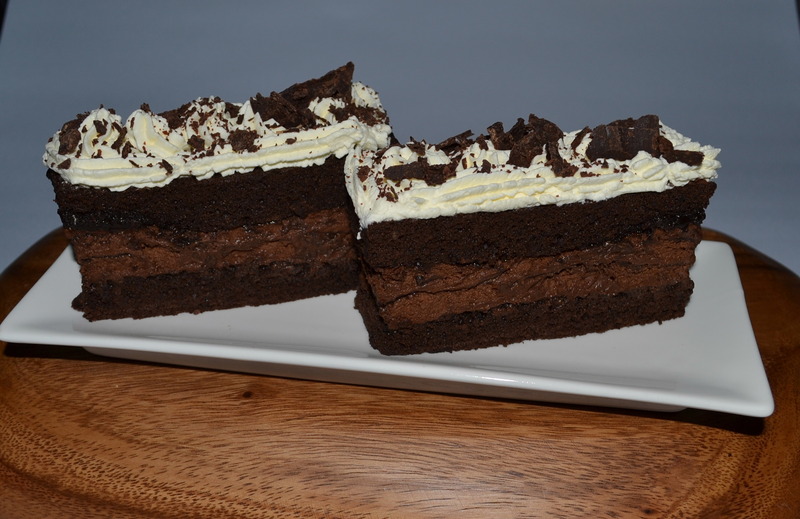 Roll up the cake and place onto a tray or kitchen board. Cover the entire roll with the remaining butter cream using a small spatula to spread it evenly. Press the praline into the butter cream covering it evenly. Refrigerate the roll at least an hour to allow the butter cream to become firm, then cover completely with aluminium foil. If time allows, refrigerate at least four hours or preferably up to a day before serving.